A qualified editor isn't worthy of the name if he or she hasn't written something that's readable without pain and if he or she hasn't received at least a few accolades from the readership. Therefore GSC Editing presents, for your evaluation and—we hope—your enjoyment, a catalog of your editor's works. 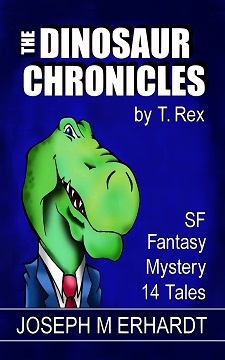 Aliens, creatures, time travel, and alternate dimensions mix with mystery and fantasy in this collection of fourteen tales by a dinosaur of a writer who still prefers old-style SF and fantasy that is carefully crafted, contains a twist or two, and provides satisfaction to the reader. For the hectic modern life, a short story is the ideal speculative fiction nibble between getting the kids serviced and dropping the car off at the day-care. View on Barnes & Noble, Apple, Kobo, and Others! Why is that big cat smiling? Booze shelf—second from right—that's not a bottle! What is an alien doing in a book of train stories? Stash is the Red Caboose's resident raconteur. 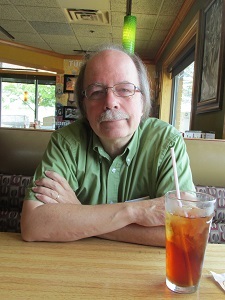 He trades tales of his railroading adventures for beer and Caboose-owner Laughing Crow's occasional dinner "specials." When a stranger arrives and takes more than an ordinary interest in Stash's stories, it becomes a question as to which of the raconteur's tales are fable, and which—if any—are true. 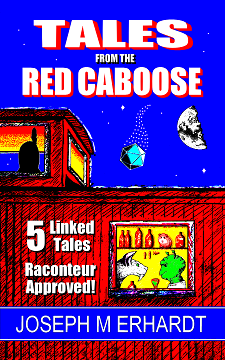 Tales from the Red Caboose is a linked collection of five train stories, each of which goes off the rails just enough to make the SF reader want to come along for the ride. A night club musician gets an offer to play a really late gig, a gig offered by a guy "with three letters in his name and an envelope full of bills." 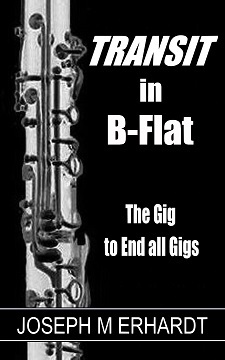 The musician needs the money, so he goes ... just a tad farther than he expected. 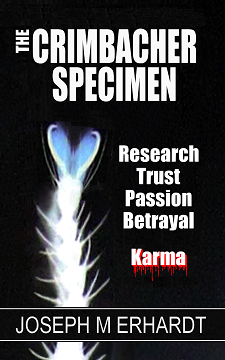 Short story, science fiction, about 5000 words. Perfect for that long coffee in a quiet corner. Published as a short introduction to the author's work and style. When representatives of the famed Roystock Institute pay for access to the smaller Crimbacher Institute's sole example of S. crimbacheri, Darlene Jefferson is happy to apply their moneys to the institute and to the local public school system. What she doesn't know is that a childhood betrayal has cast its long shadow even onto this transaction, and that, in the end, Darlene will have nothing left with which to fight, except her wits. Science Fiction, short story, about 9000 words. Perfect for that double cup of coffee. Keep the bug-killer handy. Published as a short introduction to the author's work and style.